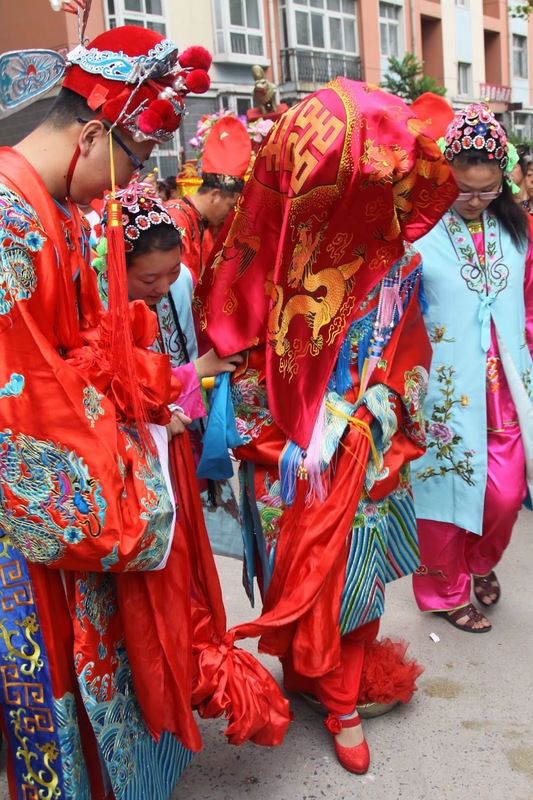 Your Humber World: The Traditional Chinese Wedding Experience: Gavin-style! The Traditional Chinese Wedding Experience: Gavin-style! Weddings bring a season of joy, coupled with loads of banter and love. That’s what our recently wedded, former student ambassador, Gavin, is testimony to. 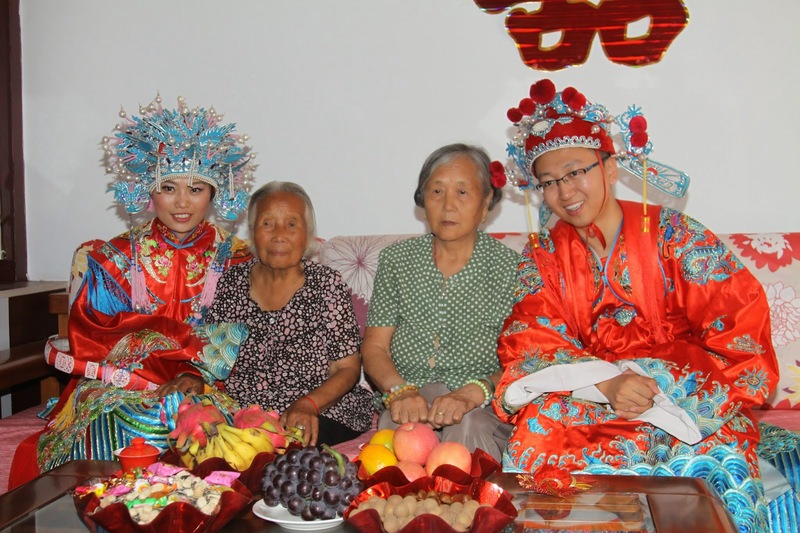 Gavin is Chinese, and his wedding involved a festive trip to his home country. Traditional, striking and vibrant, Gavin and his beautiful wife-to-be were donned in red; in fact, their surroundings were basking in red, too. Red attire, red decorations, red carpet...and Gavin was red with love and blushes, and from the reflection of his surroundings! The colour red symbolizes festivity and celebration and is used extensively for aesthetic and ritualistic purposes in some cultures, like in China and among Hindus in India. Traditional Chinese weddings, like many South East Asian and Far East Asian weddings, are strong on rituals, festivities, and togetherness. Of course, weddings across the world require love, blessings, and the presence of near and dear ones. However, traditional weddings are always a lengthy, elaborate affair. In countries like China and those with older civilizations, weddings have long been considered a grand affair, a symbol of prosperity and enrichment and a reflection of collective nurturing. While our Gavin may have not given these any thought, like many excited and terribly focused grooms waiting for their lady love at the altar, we decided we must talk business. Keeping love aside, relatives and friends join in primarily for fun. The pre- and post-wedding rituals are inherently meant to bond the two families, tease and spur the romance, and usher in a new collaboration and responsibility. This is what constitutes a big fat traditional wedding! Traditional Chinese weddings, like this one, are generally grand, spreading across days and prepared over many months. Once committed to being together, the partners and their families collectively plan their wedding season, shop for goodies and traditional wear, negotiate heartily, plan and salivate over a grand food menu, invite loved ones and some others too...The list goes on. A good wedding is a beautiful but sometimes tedious affair. Chinese weddings, as we found out, begin with celebrations at the groom’s and bride’s residences, with relatives, food, and frolic going hand-in-hand. Look at the palanquin for the bride below - isn't it lovely! In China, the marriage registration comes first. Parties, dance, and drama can wait. Only later is there celebration, and exchange of a LOT of money, enveloped in red, from one hand to the next (indeed of someone else). If you ever wish to learn more about weddings across cultures, browse the different rituals, costumes and customs that are a standard at these weddings. Trust us: it is not as boring as you imagine it to be, and you'll certainly be surprised to learn about the logic behind these.